I've ALWAYS wanted to have a child in October, MY ABSOLUTE FAVORITE MONTH! And my wish came true. Our sweet 3rd and last child was born on the 11th. We had a beautiful fall day with our family and here's what I made. 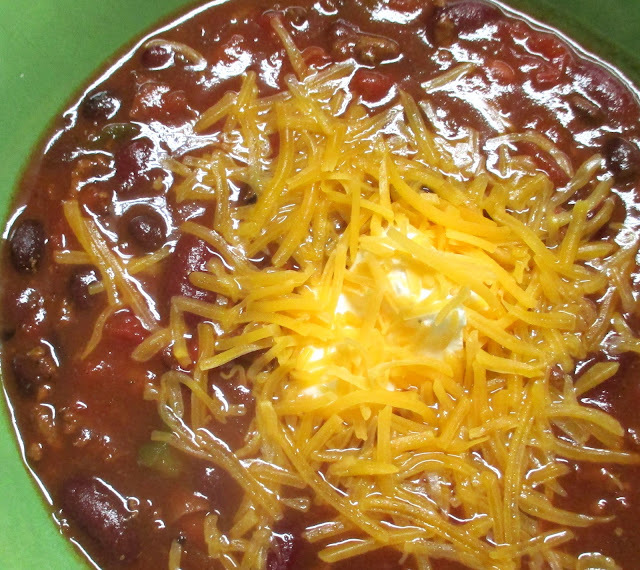 For the adults (and kiddos too, but mine aren't big fans), a big slow cooker full of chili! Your family recipe, your Mom's Mom's Grandma's famous recipe! I wish I had one, but I don't...I'm still creating! 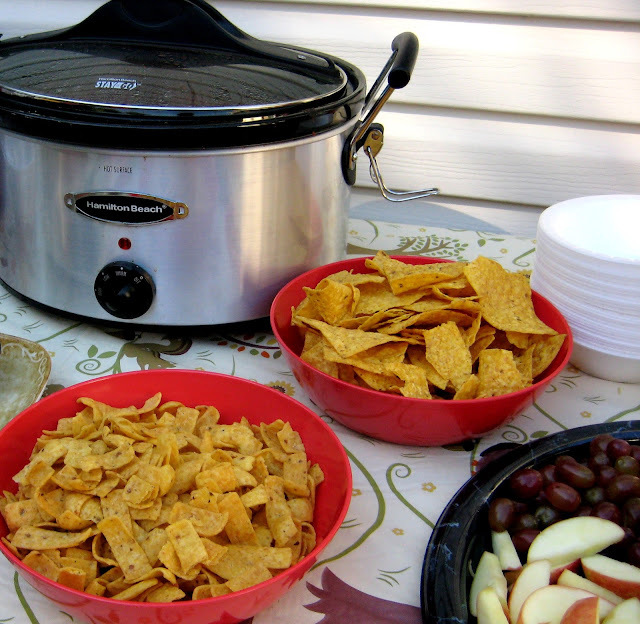 sour cream, shredded cheese, Fritos, tortilla chips and green onion. 2. 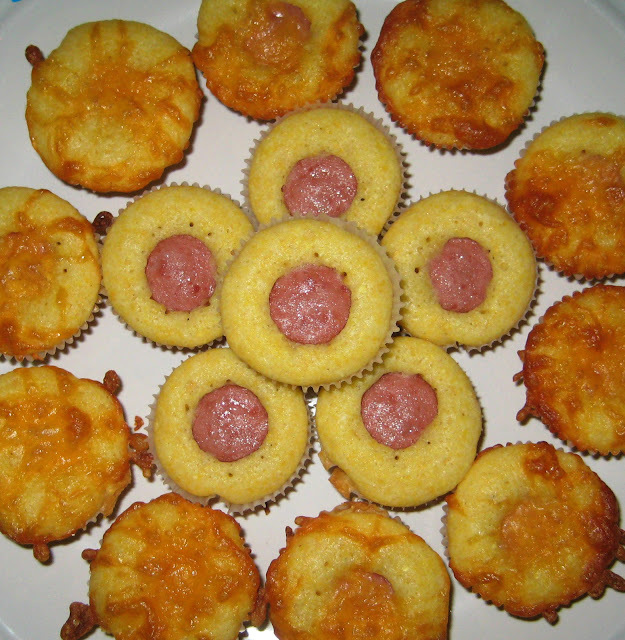 Corndog Mini Muffins These are super easy to make, using Pamela's Cornbread Mix or whatever gluten-free cornbread mix you prefer! Great for kiddos and adults. 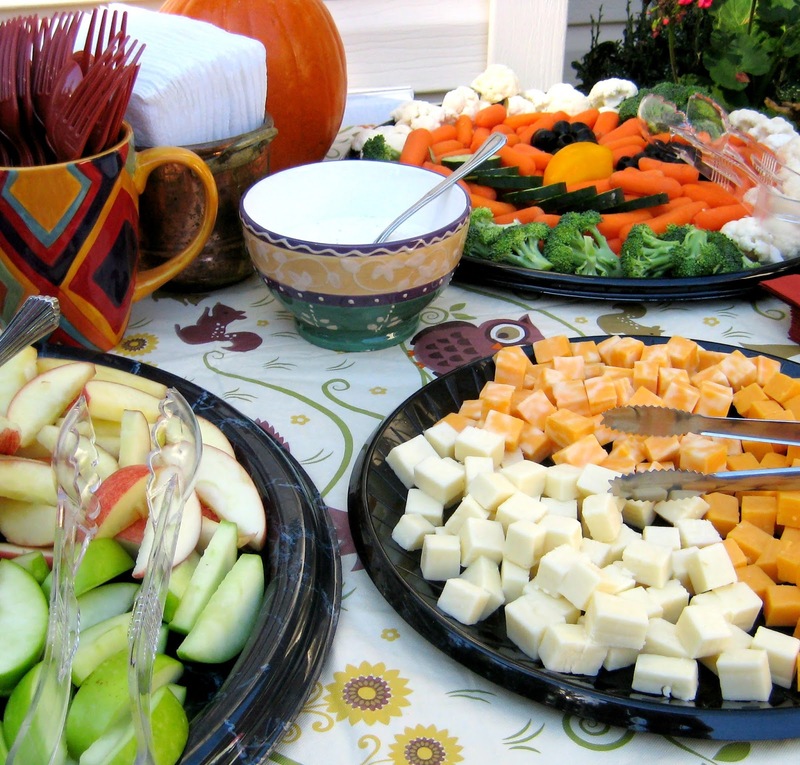 A finger food that's . Recipe here. These little pumpkin pizzas are cute and perfect for the kiddos. I used Kinnikinnick pizza crust, it's a little square frozen crust and I was able to make 4 pumpkins per square pizza crust. I make the pizza like normal then let it cool for a couple of minutes then use pumpkin cutter to cut pizzas. 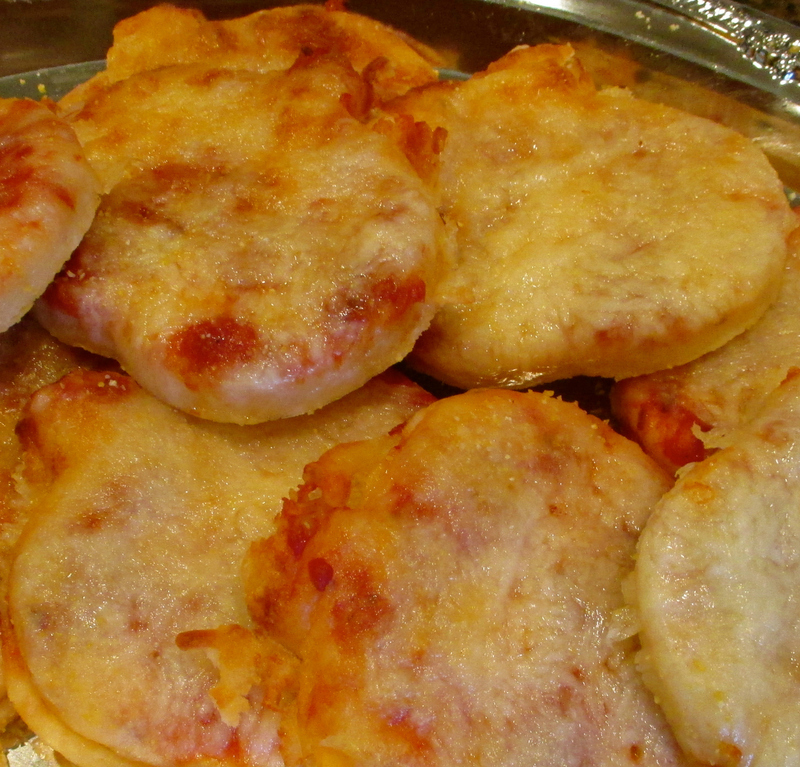 BOOM - you gotta yourself some mini pumpkin pizzas! 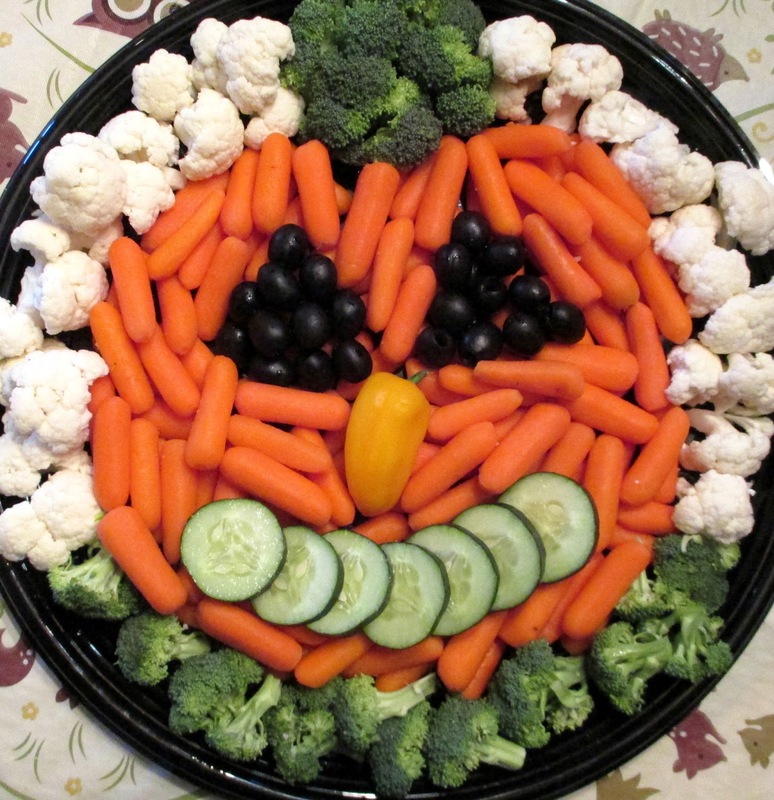 Use your favorite veggies to make your own pumpkin inspired creation. You can do all type of fun creations! Get the kids to help with this one! Slice up a variety of colored apples (TIP: soak apples in apple juice then pat dry before serving so they don't turn brown) and serve with a marshmallow dip, maybe sprinkle in a little cinnamon and sugar. I like cheese cubes because they are easy and bite size too. 6. Pumpkin Salsa - I recently posted about Beanfields Bean & Rice Chips and pairing it with Pumpkin Salsa or your favorite salsa! 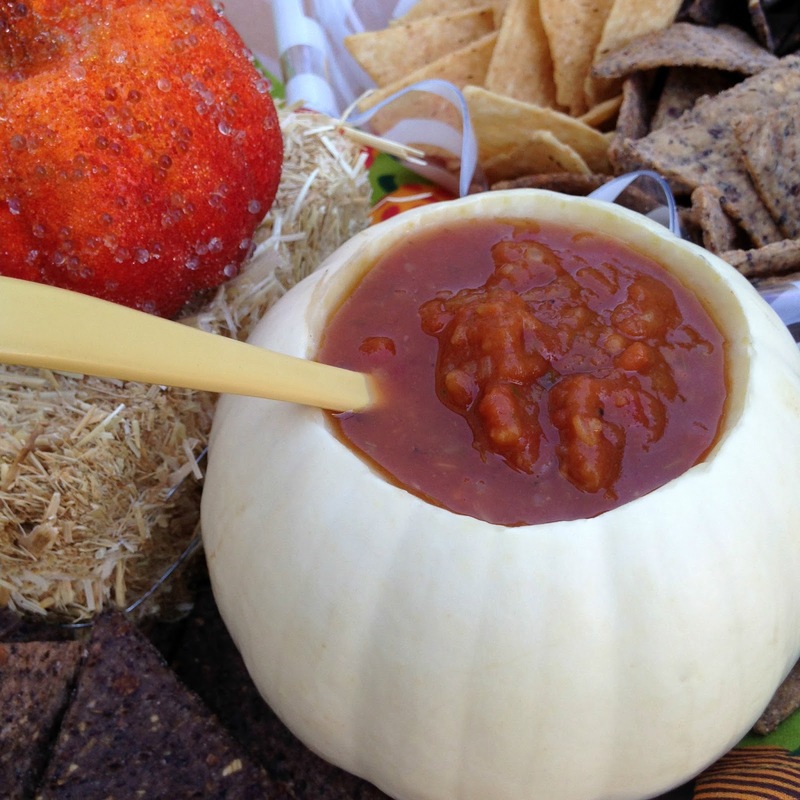 Find colorful pumpkins to serve salsa in or your favorite dips for your veggies! 7. Fall Cupcakes - I didn't get too fancy, but I did top the cupcakes with some cinnamon/sugar. 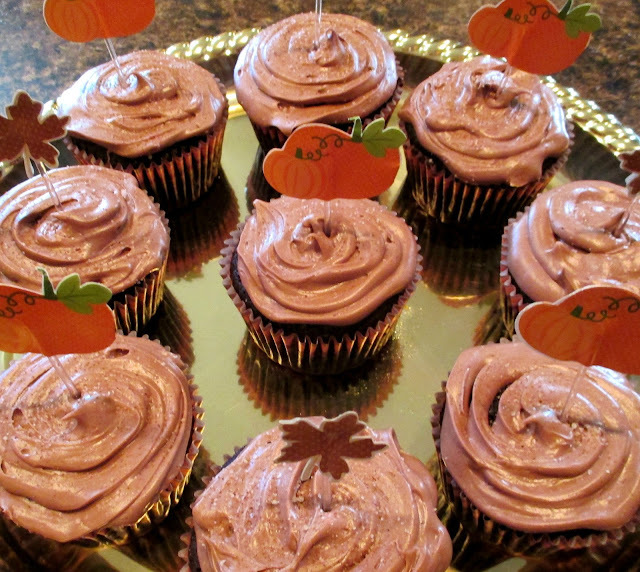 I used Pamela's Classic Vanilla Cake Mix and her Chocolate Cake Mix - they were a HIT as usual! I think overall, our lil' birthday boy had a wonderful 1st birthday party...I know he at least LOVED the cupcakes! I studied about he celiac disease. I thought it would be hard for the person to cut gluten but these recipes make it seems otherwise.